Your floor coverings and upholstery are an important investment in your professional image. Boost their quality and appearance by putting Cambridge Carpet Cleaning’s 40-plus years of industry-acclaimed expertise to work for you! 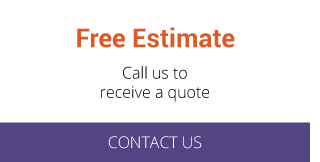 You’ll see substantial savings by regularly maintaining your commercial carpeting investments! And by ridding your carpets of accumulated soil and allergens, you will also significantly improve your indoor air quality. Commercial carpet cleaning is our specialty. 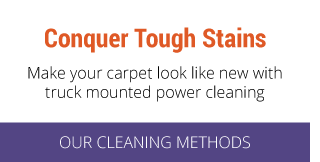 Join the many major corporations in the Waterloo region already benefiting from our carpet appearance management programs or choose our quick and effective one-time cleaning service, which uses hot water extraction to clean your carpets quickly and get you back to business in no time. You’ll create a positive impression on your clients and employees while gaining all the cost-saving and aesthetic benefits professional carpet cleaning delivers. Ceramic flooring needs to stay clean to stay beautiful. And that includes the grouting. The reason your grouting darkens over time is because it accumulates grime. Grout grime is tough stuff and the best way to get it out is by using Cambridge Carpet Cleaning’s professional grout cleaning services. Your ceramic flooring will be pre-scrubbed with a surface tool and then rinsed and cleared of effluent using a truck mounted hot water extraction system. Then we attack grout grime with cleaner and elbow grease. Our tile grout cleaners meet stringent health and environmental standards while still delivering the power needed to remove that grime. How much time do you and your employees spend in your office chairs each day? What kind of impressions do your upholstery and fabric panels make on your valued clients? Along with carpeting, your upholstery and fabric panels are one of the biggest influences on indoor air quality in your workspace. We use a deep-cleaning hot water extraction system to effectively remove trapped soil and allergens, leaving a clean, fresh workplace for you, your employees and your clients to enjoy. For more information about our commercial cleaning solutions or to schedule a service appointment, please contact our office.